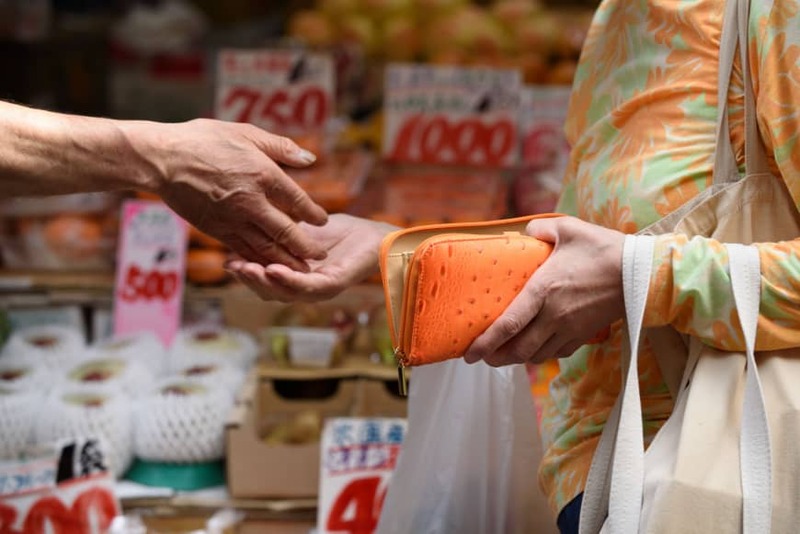 According to the Mainichi Shimbun, one program under consideration would refund the 2 percent increase for products and services purchased from small- and medium-sized businesses if those purchases were made using cashless payments. Smaller businesses, including those that serve food and provide lodgings, are considered especially vulnerable to income loss after the hike goes into effect, and as the Mainichi points out, consumers who patronize such establishments and use cashless payments could end up paying even less consumption tax than they currently do, since the 2 point hike will not, for a while at least, affect food and some other items. Consumers who shop at these designated stores for food could end up paying only 6 percent in tax. However, the refund will not be in cash. The purchaser must use a credit card, a prepaid electronic money card or a smartphone with a wallet app in order to qualify for the reduction, and instead of getting cash back they will accumulate “points” that can be used later for other purchases. Credit card companies and other collection agencies will be allowed to set the amount of reward points, so ostensibly it’s possible the consumer can get even more value from the refund than just compensation for the 2 percent levy. The main hurdle for this program is getting these retailers on board, since many don’t have the equipment to handle cashless payments due to the cost. According to an Oct. 20 report in the Asahi Shimbun, the Ministry of Economy, Trade and Industry is itself pushing the program to promote a more cashless society. In Japan, cashless payments made up only 18 percent of all retail transactions in 2015, as opposed to 60 percent in China and 89 percent in South Korea. Understanding that reluctance on the part of Japanese retailers is the main obstacle to achieving an increase in cashless payments, METI is asking credit card companies to lower their fees for businesses, which are said to range from 3 to 7 percent of the purchase. If the credit card companies agree to do this, METI says it will subsidize part of the consumption tax point system for them. Ruling coalition partner Komeito is against the 2-point rebate system because they say it is inherently unfair. Not all people have credit cards, in particular pensioners and low-income earners — the people who are going to be most affected by the tax hike. So as an additional countermeasure, the government is also thinking of implementing a coupon system for households that make a certain amount of money and, presumably, don’t have credit cards. The Asahi says that Japanese credit card companies are resisting the METI proposal, claiming they can’t afford to reduce fees to retailers. For one thing, they split that fee with international credit card companies, such as Visa and Mastercard, who they don’t think would agree to a fee reduction, thus forcing only the Japanese companies to shoulder it. And even if METI offers subsidies, many of these companies already have their own bonus point systems. Administering all these points will become an unwanted burden. 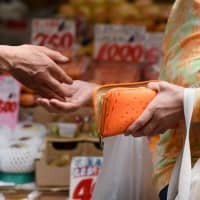 The government wants to kill two birds with one stone: Mitigate the possible economic damage caused by the consumption tax hike and nudge the Japanese public toward cashless payments by using points for consumption tax refunds, because the bonus point system is already popular in Japan. According to Yosuke Yasuda, an associate professor at Osaka University who specializes in game theory, no country in the world uses point cards as extensively as Japan does. One of the most famous point systems is the T-Point Card, with about 60 million users. However, points are not the same as refunds. Writing in the Asahi, Yasuda claims that the point card system has changed the purchasing behavior of consumers without their knowing it, mainly due to the Japanese concept of otoku, which translates as “bargain.” In terms of consumption, otoku represents the idea of getting something for nothing, but as Yasuda points out, that’s an illusion when it comes to point cards, whose business rationale is to keep the consumer coming back to the same stores. Without points, shoppers would typically look for the lowest prices at various retailers, and point cards dampen that impulse. As a result, the retailer doesn’t have to compete in terms of price. But doesn’t the consumer save money at that retailer by accumulating points? Not necessarily. Consumers equate points with discounts, but in many cases stores with point cards set prices in such a way as to make up for the discrepancy. Yasuda also says consumers have to reckon with what he calls “house money,” a gambling term that refers to a sudden windfall, the idea of which is genuinely getting something for nothing. Retailers count on this, because they try to get consumers who save money through points to spend those points in the same retail outlet. If a person buys a TV at an electronics store for ¥400,000 and gets 40,000 points because they belong to the store’s point system, they are more likely to spend those points right away, as if they were something they’d gotten for free. However, if the same consumer bought the TV at a 10 percent cash discount, meaning they paid ¥360,000, they would probably just pocket the difference. In addition, many consumers shun point cards not because they think they don’t save them money, but rather for privacy concerns. The personal data and purchasing histories provided by members are used by marketers to target advertising and promotions more effectively. In the same Asahi feature, TV personality Rie Kuwabata, who confesses that she uses point cards every day, explained that she once received a coupon with her supermarket receipt for savings on an expensive brand of broth. She usually buys another brand of expensive broth at a different supermarket. The two retailers may have been sharing that information. It’s impossible at the moment to know the particulars of the point system that METI might implement and how collection agencies would take advantage of it, but it’s only one of the government’s countermeasures to lessen the blow of the consumption tax hike. There are also measures being discussed to lower car taxes, capital gains taxes, housing loan taxes and other burdens. In fact, according to Sayuri Kawamura, senior chief researcher at the Japan Research Institute, writing in the Nov. 1 edition of the Tokyo Shimbun, all the proposed countermeasures taken together could wipe out the expected revenue from the hike. She says that each 1 percent rise in the consumption tax generates about ¥2.5 trillion, meaning a rise of 2 percent would bring in about ¥5 trillion a year. However, the estimated cost of these countermeasures, if all were implemented, has been estimated at about ¥6 trillion. It’s no wonder people think Abe might postpone the tax hike again. The government could save money if it did. Yen for Living covers issues related to making, spending and saving money in Japan.